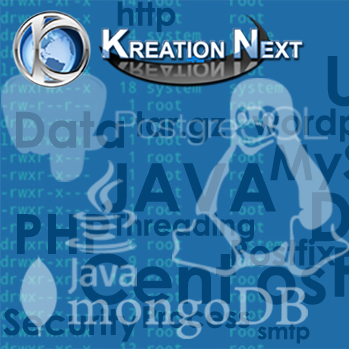 In this guide you will learn how to tweak the kreationnext mail guide for Postfix (+Auth SMTP + Quota), http://www.kreationnext.com/virtual_postfix_mysql_quota_courier, setup to give better Virus protection. Sadly this always comes at a price as you will see later on…. The Falko kreationnext guide is great starter for a default Postfix installation but if you want to achieve business grade antivirus we need to do a few small things so that there is less chance of the latest greatest script kiddie invention getting through. In the Postfix guide, Amavis and ClamAV are installed from Debian stable. Debian Sarge is just far too old. Having played with the new Amavis-new 2.4.2, it’s changed significantly in the Debian package where /etc/amavis/amavisd.conf has been completely replaced, so we are going to leave amavis-new alone and just leave it from Debian sarge stable. However ClamAV is a little outdated so we are going to take a fresh copy from testing. This updates the Clamav engine to 0.88 and should offer better Virus detection. It is possible to take the Clamav to the latest release using the Volatile branch of Debian but I’ve had a few bad experiences so it’s better to error on the side of caution. Next we want to increase the Virus scanners that Amavis calls after Postfix hands to the mail to Amavis. This guide will look at configuring 2. F-Prot – Free for private use and comes witha handy Debian installer. Follow the onscreen installer, which goes off and downloads the latest distro of F-Prot while-u-wait. Unlike Clamav which uses Freshclam, F-Prot doesn’t use a daemonised program to keep itself up-to-date instead we need to enable the updater program via the Debian crons. Moving swiftly on, now we are going to enable McAfee UVScan – sadly this isn’t free for general purpose and you must purchase a license to use for more than the evaluation period. Accept all the defaults except avoid the lengthly full filesystem scan at the end of the installtion proceedure. At this point if you have a license you can dump it into the program directory normally installed under /usr/local/uvscan. You will notice that there are 3 AV scans taking place and it gives the approximate percentage of how long each process took. It seems by far Clam (AV-scan-1) is the fastest in my tests followed by F-Prot (AV-scan-3) with UVScan (AV-scan-2) trailling behind in third place. Obviously if you find your mail setup getting hit hard by so many scanners installed, all you need to do is disable them in the amavis configuration file.